Personal injury law is all about torts. Broadly defined, a tort is a harmful act (or failure to act) for which the law provides a remedy. There are many different kinds of torts. Physically injuring someone is a tort; so is damaging a person’s property or character, or wrongly denying someone his or her liberty. The basic principle of tort law is that injured persons should be compensated by those responsible for their injuries. Thus, a victim of a tort has the right to sue the tortfeasor (the person committing the tort) for damages. Though often confused, torts and crimes are two separate legal entities. Torts are civil wrongs against an individual exposing the tortfeasor to liability. Crimes are wrongs against society or the state and are punishable by incarceration or fines. Some acts, however, can be both a tort and a crime. For example, someone who used force to cause bodily injury has committed a tort known as battery and is liable to the victim for damages. Battery is also a first degree misdemeanor under Florida law and punishable by up to one year in prison. Thus, a person could be prosecuted and convicted of battery, and later face a civil lawsuit brought by the victim. 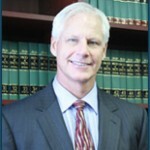 If you’ve been injured, call David Willis Law Group at 904.270.8707 today.